The Greek prime minister will ask the European leaders today (Wednesday) in Brussels to allow for the necessary time in order to reach an agreement for an orderly exit of the UK from the EU. At an extraordinary meeting on Brexit, the heads of the Member States are examining the new request by Theresa May to extend the application of Brexit. Athens deems it necessary to ensure enough time through a flexible proposal for extension, so that Brexit does not take place in a disorderly manner. 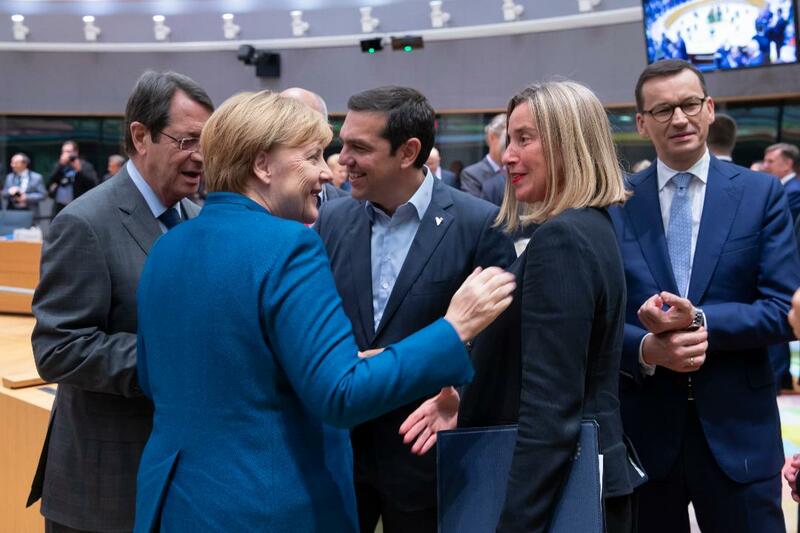 As Alexis Tsipras has pointed out, during the previous session on the same subject, Greece’s position is against all scenarios of a disorderly Brexit. During his placement, the Greek Prime Minister will underline the need to ensure in the meantime the smooth functioning of the EU – until the final exit of the UK – in order for the continuous extraordinary sessions on Brexit not to hinder the discussions on the major issues of the EU. Speaking to Sky News two days ago, Foreign Minister Giorgos Katrougos explained that Greece was initially against all forms negotiations of a “punitive character regarding Brexit”, recalling that Greece is well aware, from the crisis it has been facing, of “asymmetric negotiation”.